We chose Australian Lowline Cattle as they are docile and friendly, being perfect for the inexperienced, and for introducing children to cattle handling. They have higher stocking rates, excellent feed efficiency, high dressing-out ratio (more meat, less bone), and are naturally polled (no horns to remove). 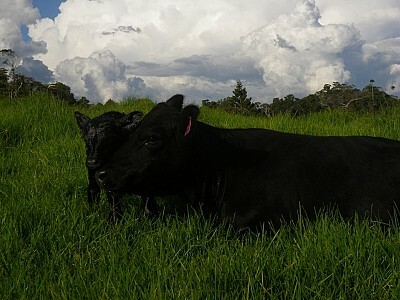 Lowlines calve easily due to low birth weights, fall pregnant again quickly, mature early, finish well as grass fed beef, and produce high quality lowline beef cuts. A great ratio for a small property. Will provide lots of great meat and lawn-mowing services, or just be wonderful farm companions. Fully vaccinated, from good bloodlines, quiet, naturally polled, easy to handle, great with kids. 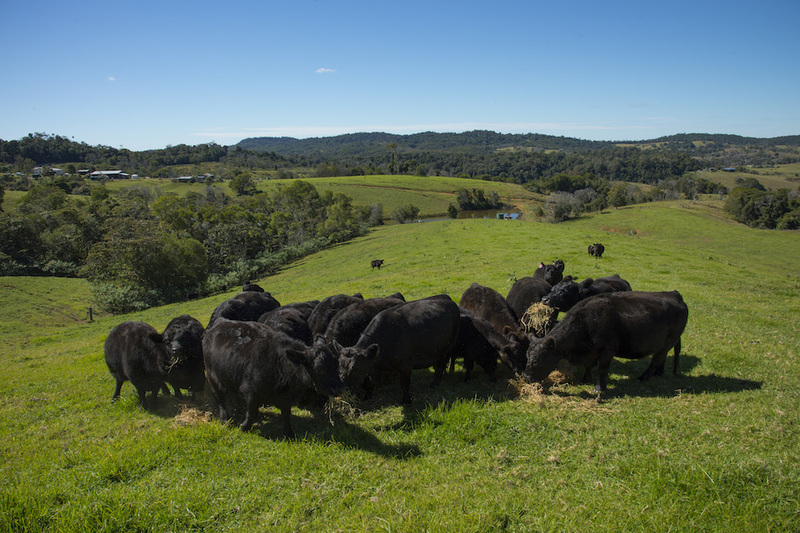 There are a lot of variables, such as whether you want registered or commercial lowlines, age ranges, specific breed traits, what your pasture and infrastructure is like, level of cattle experience etc, so please contact us, and we can work out the best package to suit your needs. Delivery: We have a small cattle truck available for lowline cattle deliveries at $2.00 per kilometre. All lowline cattle are supplied with a National Vendor Declaration (Cattle) and Waybill. Grass fed lowlines, fattened on lush kikuyu and clover pastures, free range, hormone-free, low-stress, tender and juicy, just ready for the freezer. 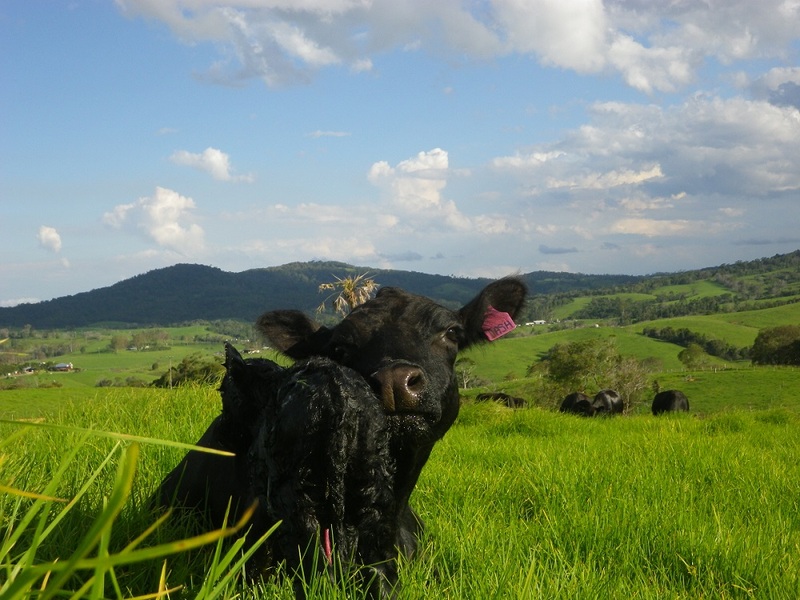 Have your on-farm butcher process the best beef available, to your requirements, straight from the Eungella Plateau. Delivery: We have a small cattle truck available for local lowline cattle deliveries at at $2.00 per kilometre. All lowline cattle are supplied with a National Vendor Declaration (Cattle) and Waybill. SOLD Dec 2016. We have one young yearling bull available for sale this year, his name is ‘Cloudbreak Lachy’, and his date of birth is 06/07/2015. He is registered with ALCA, and his lineage details can be viewed here. Lachy has been part of our Mackay Christian College show team this year, so is halter trained. He has good size for his age (his dam is a wonderful big, deep cow), and Lachy has a good straight backline, good tailset, stands and walks well, has good length width and depth, a great rump, and a good nature. His sire Tanview Freedom was Junior Champion Bull at the Brisbane Ekka 2011, and 1st in Lowline Bull 24 & under 36 months class, Beef Australia 2012, see here. ‘Lachy’ was sold to Mark and Sharyn at Netherdale, December 2016. Delivery: We have a bruise-free trailer available for lowline cattle deliveries at $2.00 per kilometre. All lowline cattle are supplied with a National Vendor Declaration (Cattle) and Waybill. SOLD JUNE 2016 - Wydinya Clancy is our foundation lowline Bull, shown as a young bull in 2008, and bought by us when we still owned Shady Acres at Emu Park. 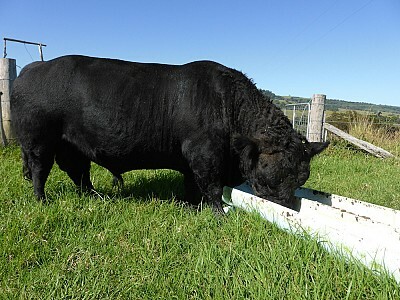 Clancy is a very long, solid lowline bull, with wonderful siring abilities, and has a wonderful temperament. He won Sires progeny with Shady Acres Gremlin, Shady Acres Griffin, and Shady Acres Gandalf, at the Yeppoon Show in 2012. He has since been running with our commercial lowline herd, and consistently sires big, strong, healthy lowline calves, regularly. Registered with ALCA, Fully vaccinated, from good bloodlines, very quiet, naturally polled, easy to handle, great with kids. Cattle for Sale: SOLD to Dragons Dail Farm, Julatten, June 2016. Please contact us for alternate bull options. Delivery: We have a small cattle truck available for local lowline cattle deliveries at $2.00 per kilometre. All lowline cattle are supplied with a National Vendor Declaration (Cattle) and Waybill. No longer available - now part of our breeder herd. Cloudbreak Kauri has a quick growth rate, with a beautiful nature, and is a very structurally correct lowline heifer. Mum is a lovely big lowline cow, who shows quick maturity, and fantastic mothering skills, and has provided us with three quality heifers in three years. Dad was Junior Champion Bull at the Brisbane Ekka 2011, and 1st in Bull 24 & under 36 months class, Beef Australia 2012. Kauri has been halter trained, so will be a great asset for her new home. 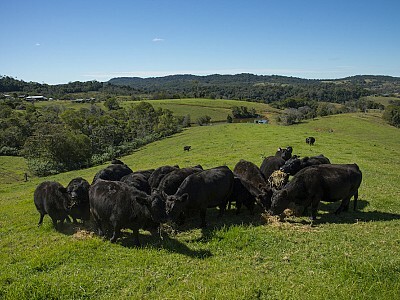 Cattle for Sale: No longer available - now part of our breeder herd. .Please contact us for alternative heifers. SOLD March 2016 - Cloudbreak Kalypso is a solid, sweet lowline heifer, with good depth and width of body, and a wonderful winter coat. Mum is a lovely, mid-sized, well-natured lowline cow, with great mothering instincts. Kalypso is currently being halter trained, so will be a great asset for her new home. Fully vaccinated, from good bloodlines, very quiet, naturally polled, easy to handle, great with kids. Cattle for Sale: Sold March 2016 to Sarina. Please contact us for alternate heifers. 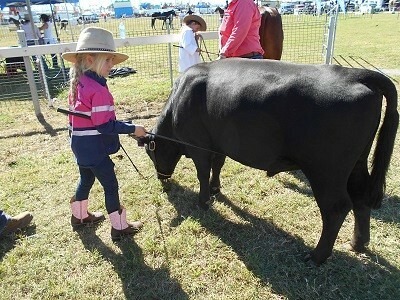 , and Female Calf Champion, Rockhampton Show 2012 . Dad was Junior Champion Bull at the Brisbane Ekka 2011, and 1st in Bull 24 & under 36 months class, Beef Australia 2012. Keellee is currently being halter trained, so will be a great asset for her new home. 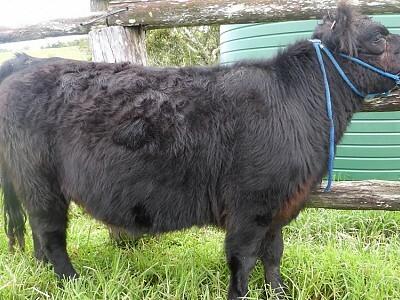 Cattle for Sale: No longer available - now part of our breeder herd. Please contact us for alternative heifers. Limited Registered and Commercial Cow with Calf-at-foot units available. All Fully vaccinated, from good bloodlines, quiet, naturally polled, easy to handle, great with kids.